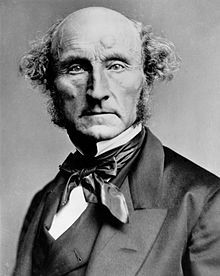 Ioannes Stuart Mill significationem in denotationem et connotationem divisit. Significatio in linguistica est res quam fons vel mittor? per nuntium spectatori vel receptori exprimat, communicet, vel convehat, et quam receptor ex contextu praesente colligat. Pragmatica invicem est studium modorum per quos contextus significationem afficit; formae principales pragmaticae magni momenti sunt contextus linguisticus et contextus situationalis. ↑ Nick Sanchez. "Communication Process". New Jersey Institute of Technology . Akmajian, Adrian, Richard Demers, Ann Farmer, et Robert Harnish. 1995. Linguistics: an introduction to language and communication. Ed. 4a. Cantabrigiae Massachusettae: MIT Press. Allan, Keith. 1986. Linguistic Meaning. Vol. 1. Novi Eboraci: Routledge & Kegan Paul. Austin, J. L. 1962. How to Do Things With Words. Cantabrigiae Massachusettae: Harvard University Press. Bacon, Sir Francis. 1620. Novum Organum. Berger, Peter, et Thomas Luckmann. 1967. The Social Construction of Reality: A Treatise in the Sociology of Knowledge. Prima editio Anchor Books. Blackmore, John T. 2000. "Section 2, Communication." In Foundation theory. Sentinel Open Press. Blackmore, John T. 2009. Prolegomena. In Ernst Mach's Philosophy: Pro and Con. Sentinel Open Press. Blackmore, John T. 2010. Semantic Dialogues or Ethics versus Rhetoric. Sentinel Open Press. Chase, Stuart. 1938. The Tyranny of Words. Novi Eboraci: Harcourt, Brace and Company. Chilton, Paul A. 2014. Language, space and mind: the conceptual geometry of linguistic meaning. Novi Eboraci: Cambridge University Press. ISBN 9781107010130. Davidson, Donald. 2001. Inquiries into Truth and Meaning. Ed. 2a. Oxoniae: Oxford University Press. Dummett, Michael. 1981. Frege: Philosophy of Language. Ed. 2a. Cantabrigiae: Harvard University Press. Frege, Gottlob. 1997. The Frege Reader. Ed. Michael Beaney. Oxoniae: Blackwell Publishing. Goffman, Erving. 1959. The Presentation of Self in Everyday Life. Anchor Books. Grice, Paul. 1989. Studies in the Way of Words. Cantabrigiae Massachusettae: Harvard University Press. Hayakawa, S. I. 1942, 1962. The Use and Misuse of Language. Ed. 11a. Harper and Brothers. Ogden, C. K., et I. A. Richards. 1923. The Meaning of Meaning. Novi Eboraci: Harcourt Brace & World. Schiller, F. C. S. 1929. Logic for Use. Londinii: G. Bell. Searle, John. 1969. Speech Acts. Cantabrigiae: Cambridge University Press. Searle, John. 1979. Expression and Meaning. Cantabrigiae: Cambridge University Press. Searle, John, et Daniel Vanderveken. 1985. Foundations of Illocutionary Logic. Cantabrigiae: Cambridge University Press. Stonier, Tom. 1997. Information and Meaning: An Evolutionary Perspective. Block, Ned. Semantics, Conceptual Role. The Routledge Encylopedia of Philosophy. Kovács, Ferenc. Meaning: The Translators’ Role in Clarifying Some Misconceptions. Translation Journal. Scott, Alex. 2002. De Wittgensteiniana significationis opinione. Novissima mutatio die 15 Aprilis 2018 hora 23:21 facta.